CONDOR is the only Romanian trading company with entirely private capital, manufacturer of parachutes and military flight equipment. 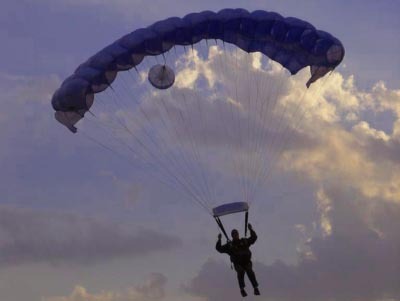 With an experience of 70 years in the domain of aviation, our company produces flight parachutes and a large range of special equipments and garments, both for the military and civil sectors. 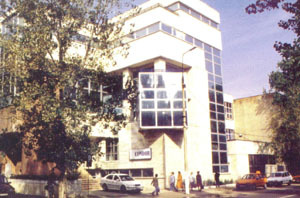 Among Condor's traditional collaborators, mention should be made of the aviation and parachute jumper troops in Romania, with whom Condor has developed a firm, long-standing partnership. The company development strategy after 1989 has had as main objectives the extension on international markets by participating in tenders and exhibitions, with a view to obtaining contracts in compliance with market requirements. Consequently, CONDOR became a parachute and equipment supplier for countries such as Great Britain, Germany, India or Italy. 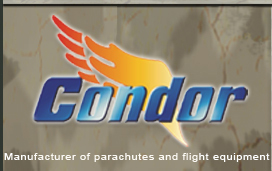 In 1998, Condor became affiliated member of the "Parachute Industry Association" headquartered in USA. With a professional team, fond of research work in the aviation field, CONDOR designs and launches new trends in the flight equipment industry. At the same time, we cherish the tradition that broght prestige to CONDOR. The quality insurance system implemented at S.C CONDOR S.A is certified by the Military Body for Certification, Accreditation and Surveillance - O.M.C.A S.- M.O.D, C.C.A.S.-M.O.I. si MOODY International and complies with SR EN ISO 9001 / 2001 standard, thus ensuring the competitive level of the manufactured products. The CONDOR is the symbol of flight, of non-restraint, of liberty. Throughout the 70 years of activity, CONDOR S.A has tried and succeeded in keeping up its chosen symbol, in redefining the idea of flight from a new, modern perspective, compatible with the new performances in the domain. Each success is a new challenge for the CONDOR team.